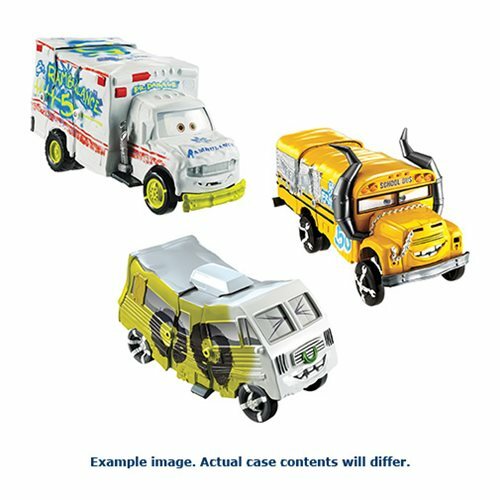 Get your hands on crashing action with these Cars Derby Crashers Vehicle Case! Each character car has iconic details and fun smash and fix features. Race them hard and slam into your opponents, just like the film. Don't worry about the damage, simply snap your car parts back into place and get ready for your next race! This Cars Derby Crashers Vehicle Case contains 4 individually packaged vehicles.